Hello everyone, Kirsten here again. Thank you so much to everyone for all the kind comments you’ve left on the Lavinia Stamps blog posts in the last two weeks. It means a lot of all of us that you took the time & we hope you’ll keep commenting in future. We also hope we have inspired you to use your Lavinia stamps, if you haven’t done so for a while, or even to start your own collection. If you’ve made a card, or other item using anything from the collection we’d love to see. Share a link to your blog/Flickr page etc. here in the comments section, on our Facebook page, or via Twitter & we’ll drop by for a look. You are the winner! 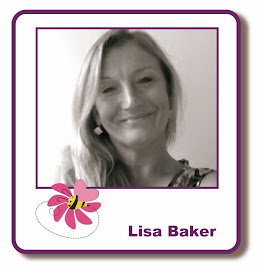 You now have a week to contact Lisa, (lisabaker1@btinternet.com) with your address details to claim your prize. Thank you to everyone who left a comment & remember, you have to comment on every post. The next promotion starts tomorrow, so stay tuned. I am sorely disappointed I haven't been included in the draw. And yes I have commented on every Lavinia post including the 24/02. Please let me know what I did wrong in case I want to participate in the future promotions. Good morning, I have a huge apology to make. I've just gone back through all the comments & found that I missed the one you made on Feb 25 & that was why I didn't include you in the draw. I am hugely embarrassed because I was sure I had checked them all thoroughly & I am very, very sorry. Please email me asap; isisimaginings at gmail dot com & I will make it up to you. So glad this is a mistake! Don't fret, everybody makes mistakes and it's not that big a deal!